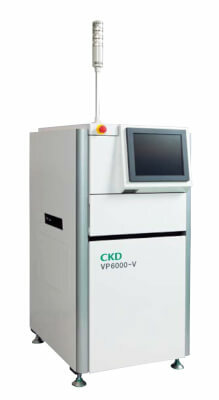 The unique 3D process for the acquisition and measurement of screen printed volume guarantees reliability and repeatability of high quality. The choice of resolution for the purpose or not standards is done by software, and thus give a more accurate measurement is set as desired. The GUI and very sharp statistical analysis allow rapid and targeted improvement process. SPC station is now widely recognized as one of the most advanced Analysis software of the market giving all necessary data for the best process control and Traceability. Omron’s Q-upNAVI is an Exciting Innovation, High Level Process Improvement Tool. Q-upNAVI is designed with the Process Engineer in mind, providing High Level Statistical Analysis supported by High Quality Color Imagery of your Process. Data is collected from any of Omron’s SPI, AOI and AXI Systems that’s presented in a format for Easy Process Diagnosis for Engineers and Operators. 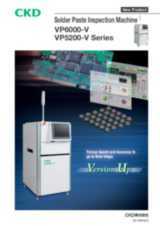 Q-upNAVI is a Standard Software for Omron’s VT-S500 or VT-S720 Post Reflow AOI systems, where typically FPY is achieved above 90%, (depending on Process). To achieve FPY closer to 99% additional Inspection Strategies are required. Therefore, QupNAVI is a Flexible Solution enabling maximum Inspection Coverage if required (SPI + AOI + AXI). VP Data Station is designed to continuously improve the Quality of your printing process and all the data collected are managed to display all the related information such as Solder Volume distribution, transition chart for designed pad and group of pads, various charts. Data Station has some very useful function as Data grouping, Multi search and display of inspection result, Traceability by PCB ID, Report generator and Output complying with "ISO/TS16949".